What are the Community Forums? A place where IAFP members can connect privately about issues of mutual interest. Find common ground and advice from your fellow family physicians! How to join one Login to at www.iafp.com and then click on Community Forums under Membership Tab. The list of available forums will appear. Click on the forum to view the posts already there, or add a post yourself. First, visit the IAFP Committee webpage where you can read descriptions about the wide variety of committee volunteer opportunities. Next, fill out the online sign-up form and indicate which committee(s) you are interested in joining. The deadline to sign up for the 2016 committees is March 18. Questions? Contact Sara Ortega at [email protected]. IAFP still seeks a delegate to represent the Gay, Lesbian, Bi-sexual and Transgender constituency at the AAFP National Conference of Constituent Leaders May 5-7 in Kansas City. IAFP will cover your registration and travel (limits apply). Please contact Jennifer O'Leary by March 1 at [email protected] if you are interested. 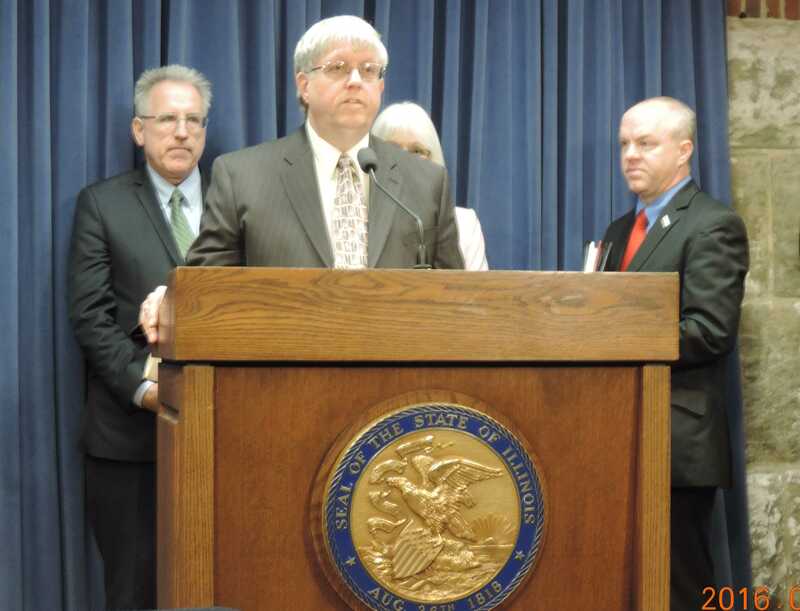 IAFP stood with Sen. John Mulroe (D-10, Chicago) as he introduced SB3011 which would raise the age to purchase all tobacco products to 21. Past President Ronald Johnson, MD and Vice President of Communications Ginnie Flynn represented IAFP in the press conference on Thursday at the Capitol. You can read our statement here. NEXT STEPS: If you have a relationship with your state senator, please ask him or her to co-sponsor SB3011- click on the link to view the bill and current co-sponsors. The judge in the Beeks/Memisovski cases has entered an order that mandates that the State pay Family Case Management Providers who have not been paid since June 2015 for providing Medicaid-funded case management services to pregnant women and young children. The Shriver Center and the Legal Council for Health Justice filed a motion last week to compel the payment of millions of dollars to Family Case Management providers, many of whom are local public health departments and FQHCs. It is hopeful that these payments will allow this critical program to continue during the budget impasse. An announcement this week from the Core Quality Measures Collaborative -- a group to which the AAFP Is directly involved -- provided significant movement in the right direction to alleviate the significant administrative burden to primary care practices, medical homes and ACOs. AAFP News provides more details. Weight dramatically impacts your patients health, yet your lack of time and resources can be barriers to talking about it. Jenny Craig developed Be the Health Moment, with guidance from primary care weight management experts, to provide physicians with proactive weight management resources to improve your patients total health. The How To Have The Weight Conversation With Your Patients guide introduces you to the well- established 5As approach to weight management counseling. The 5As approach allows you to raise the issue of weight in a sensitive way, gather important data from your patient, and provide meaningful recommendations to help him or her achieve and maintain a healthy weight. Nutrition for Obesity Prevention and Treatment is a series of eight 15-minute modules that offer current science and application strategies to improve pediatric providers assessment and counseling skills. Physicians who took this reported feeling prepared to educate and counsel patients and families, ask about barriers to healthy diets, and brainstorm modifications. This free CME provides the physicians the flexibility to choose modules for credit on their own schedules. Click here for more information, or contact Ashlee Baeten at [email protected] or 312-733-1026 ext 232. Register here in ICAAPs learning management system. Participate in the free AAFP CareerLink Virtual Career Fair on March 2 from 3 to 5 p.m. CST and connect with employers looking to hire family physicians from the comfort of your home or office. Gain direct access to physician employers looking to hire, broaden your professional network, and explore career opportunities. Register today. Articles about the Tobacco 21 press conference with quotes from Ronald Johnson, MD of Pittsfield appeared in todays Quad City Times, Decatur Herald and Review and Mattoon Journal. Also a new story aired on WICS-TV in Champaign which featured IAFP Vice President of Communications Ginnie Flynn. Dennis Yap, MD of Springfield is featured in a Springfield State Journal Register story about the decline in solo practice ownership, how being your own boss is not so easy in medicine. Eric Kuhns, MD of Sterling is mentioned in the Sauk Valley News on February 16 for his work with the Wellness committee at Challand Middle School, where the Lifting Club is improving the health, grades and behavior of at risk students using a wellness approach. Mary Kelly, DO of Oak Park penned a thoughtful community spirit letter to the editor to the Oak Park Wednesday Journal thanking the Oak Park leadership in finding a solution to help small businesses like hers with valet parking during major road construction in downtown Oak Park. An article appeared in the Naperville Sun on Sunday February 7, Making sense of winter wellness featuring IAFP member Jennifer Kurka, MD.